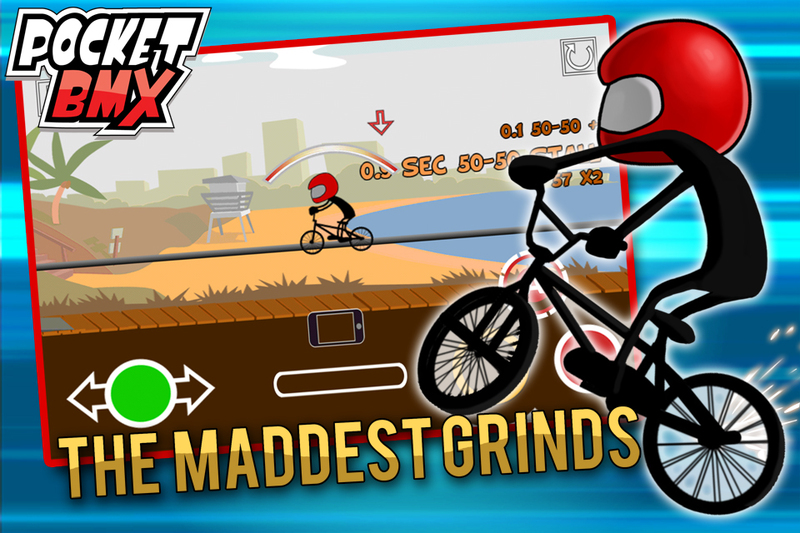 Pocket BMX is a 2D extreme sports video game packed with mad tricks, rad grinds and insane combos! Ride the 7 locations with 20+ different parks on offer, building your skills to prepare for the BMX Cup, where winning means saving your town! 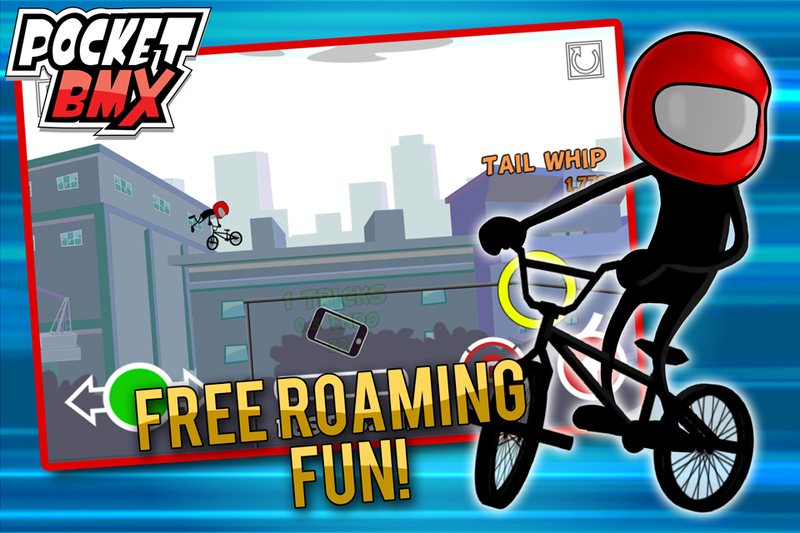 Pocket BMX is a free-roaming 2D bike riding game that’s packed full of challenges that will see you pulling all kinds of air tricks and grinds with combos that will blow your mind. Play through the story mode where all the BMX parks are in danger of being closed and its up to you to save the parks. 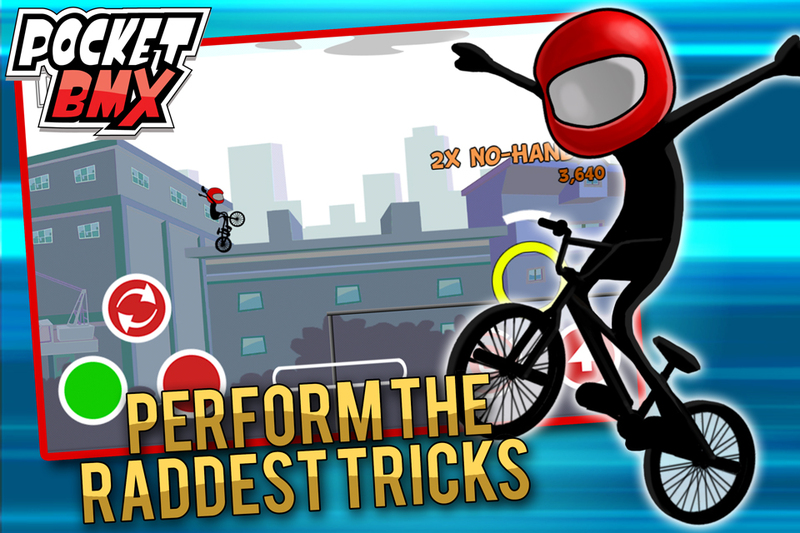 With the help of your mentor the BMX Ninja, who will set various challenges for you throughout the levels, you will soon learn all the skills required to become an expert rider. Ride the 7 locations with 20+ different parks on offer, learning over 18 real world tricks like the “tail-whip”, “back-flip”, “bar-spin”, “decade” and many more. You also have the ability to combine these tricks to create an endless amount of different combos. All these skills will be needed when you compete in the BMX Cup competition, where your “runs” will be judged based on certain criteria. "Easily the best free roaming trick game on the app store"
- Smooth, fast, free-roaming game-play. - Easy to use Controls with a special “Easy” mode for casual players. - Multiple control layouts to choose from. Including iCade Support. - Over 18 different tricks Plus Fakies to learn and perform! - 7 locations with 22 levels to shred and explore. 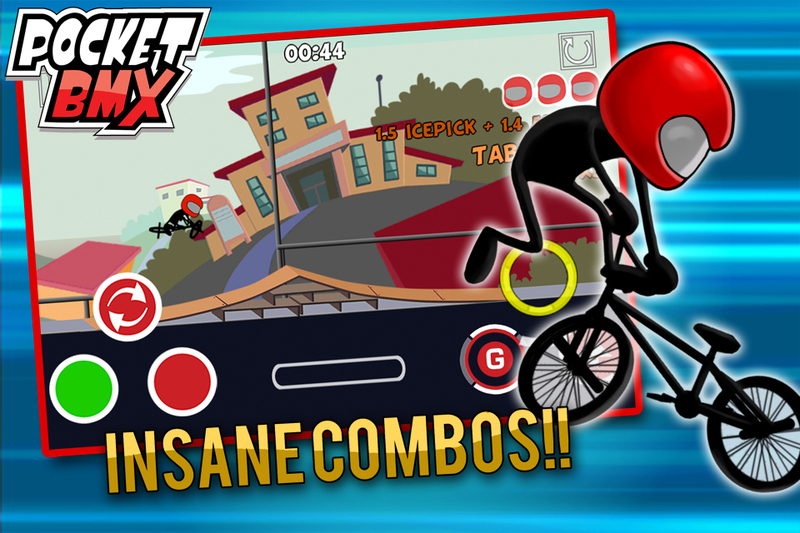 - Customise by combining tricks to create Big Combos and Scores. 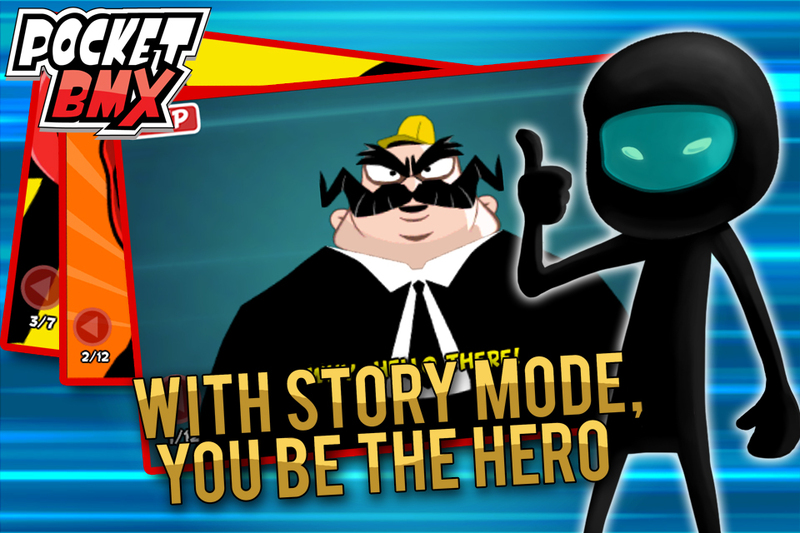 - A story mode to unlock the full goodness. - Unlock all options for those who can’t wait. - Multiple game modes including Competition, where your runs are Judged! - Play your own music in game. - Special enhanced BMX physics. Big Air = Big Tricks. - Replay and compete against Ghost Runs. - Capture Screen Shot during replay and post on Facebook or Twitter. Great for showing off massive combo scores. - Parental Control to turn off blood. - Facebook and Twitter integration with achievements and more. For the official the Press Kit for PocketBMX, please click the link below.